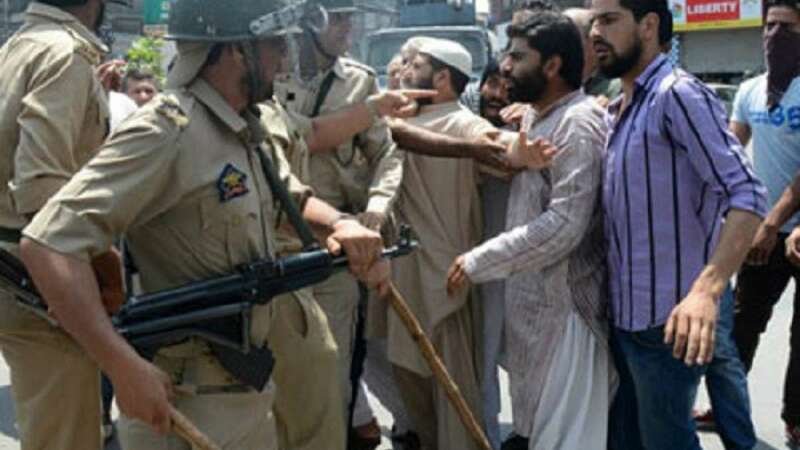 Srinagar : Police in Srinagar on Tuesday intervened to break a traders' sit-in against the implementation of the Goods and Services Tax (GST) outside the legislature complex. The implementation of the GST is being debated at a four-day special session of the legislature that began earlier on Tuesday. The police took several trade union leaders into custody. Meanwhile, media persons entered the press gallery of the state Assembly after Speaker Kavinder Gupta and senior PDP minister Abdul Rehman Veeri assured them that no curbs would be imposed on live reporting of the session's proceedings. The media fraternity had earlier walked out in protest when they were told that no cameras and mobile phones would be allowed in the press gallery. Jammu and Kashmir are the only states in the country where the new tax regime has not been implemented so far.